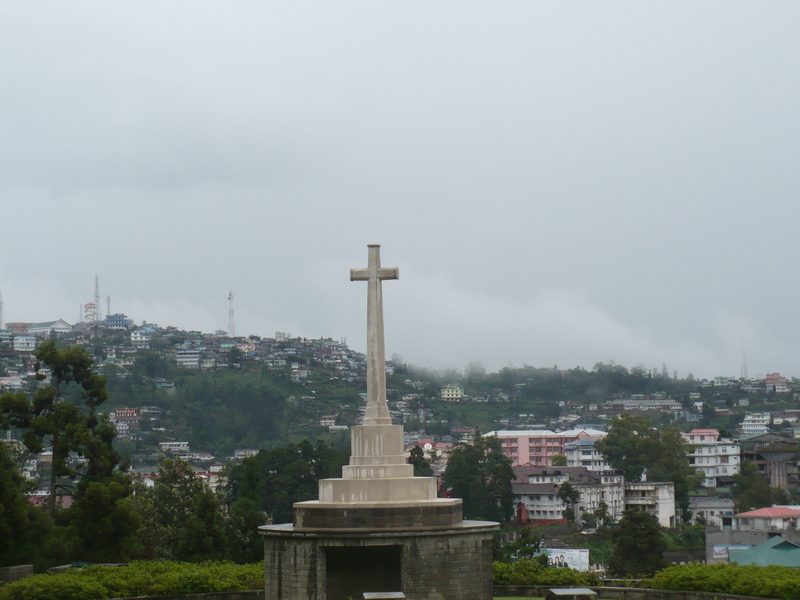 Kohima has a helipad but is not directly connected to any other place either by rail or air. You could travel by road or take the train from Guwahati to Dimapur a distance of 250 kms/ 4hrs. 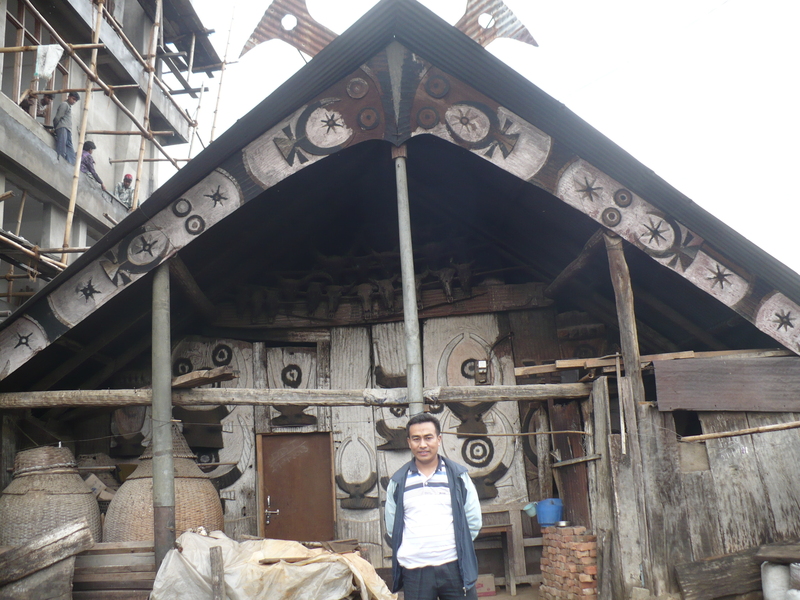 From Dimapur, the commercial capital of the state it is a further 70 kms. The road is good & the drive scenic. 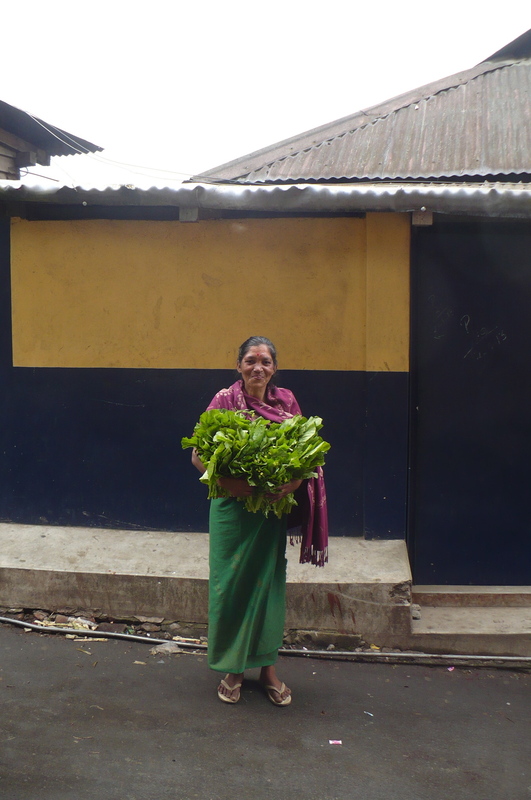 The roughly 2hr journey costs Rs 80 by bus, 220 in a shared taxi & 800 by private car. 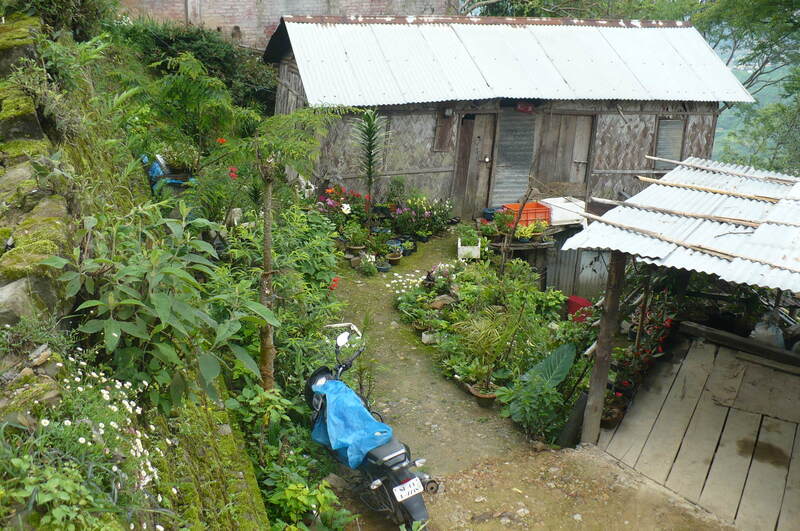 You are dropped off at the NST – Nagaland State transport – in the heart of town. Local buses & black & yellow taxis (all Marutis) are available at a minimum of Rs 80. There are no auto or cycle rickshaws. It is a crowded mid size town with crazy traffic that snarls through the day. Restaurants & coffee shops are few & nothing to write home about. The ‘Ozone Café’ near Naga Bazaar was pretty decent but it did not open until noon. Which means that there simply is no ‘breakfast place’. Also, there are no parks or bars as liquor is banned – enjoy the rice beer, instead. Despite the big & small hotels there is a real paucity of accommodation especially during the Hornbill festival in December when occupancy shoots up & there isn’t a room to be had. 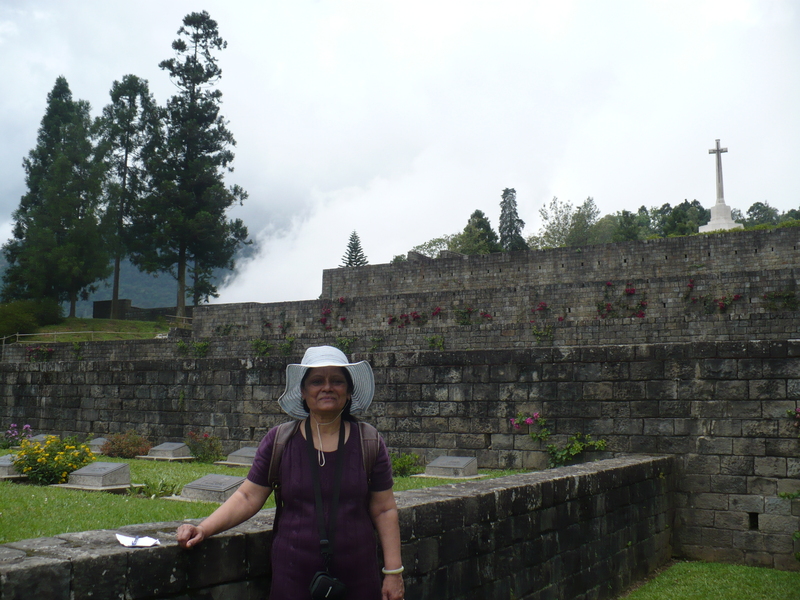 Nagaland tourism advertises homestays but there is a wide discrepancy between rates quoted & prevailing. What the tariff includes is also a bit hazy. Most often rooms do not have attached toilets. Toilets are generally clean but without running water. You may also never get to share a family meal. This, when tariffs are at par or higher than that of the hotels. 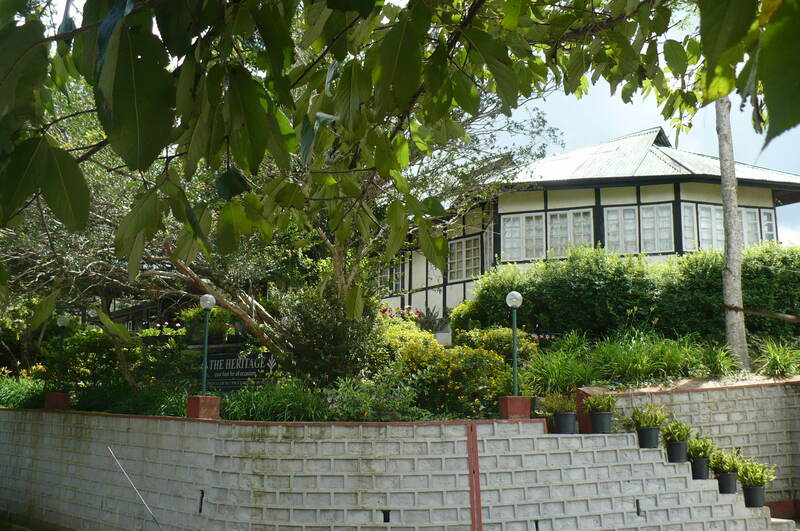 The DC Bungalow, now a heritage hotel is strongly to be recommended not only for its rooms but also for food & service. The rates are extremely reasonable & it is beautifully located. Nagaland is Christian majority. There are Christians of all denominations with churches scattered everywhere. 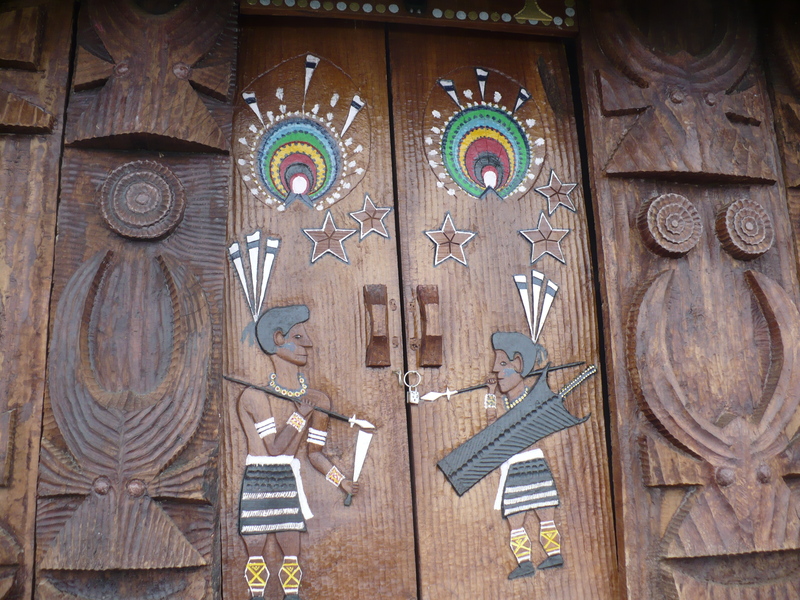 Until the arrival of the American missionaries in the early 20th century society & culture was Animist. Without music & drinks it seems rather joyless now. The church exercises a rigid control. Sunday is strictly a day of rest so plan it well. No taxis ply. You will be charged return fare for a cab to the airport or to the station. You may not even get a cup of tea anywhere. The Church actively discourages family planning. Most couples have 4 children on an average. Families are larger in the countryside. Aids & drug awareness slogans adorn billboards. There is little Hindi but English is widely understood & spoken. 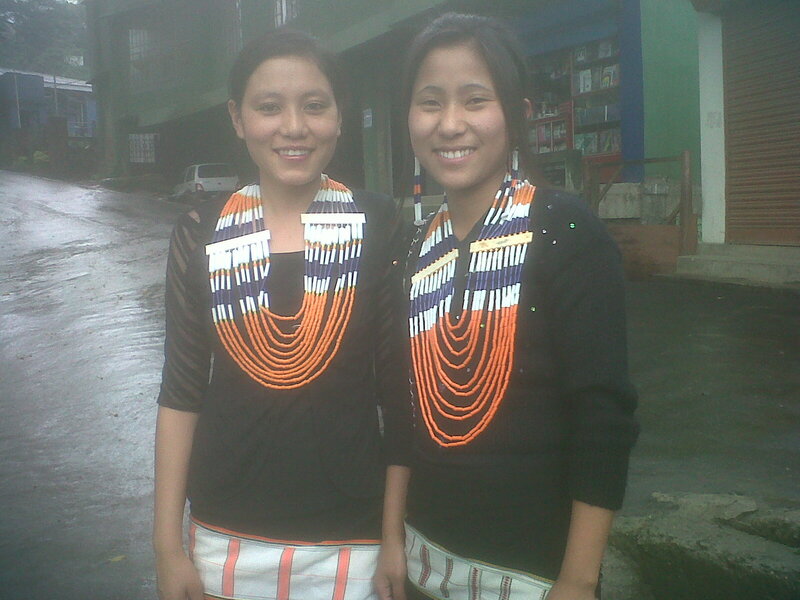 The beauty of Nagaland lies in its quaint & charming villages. 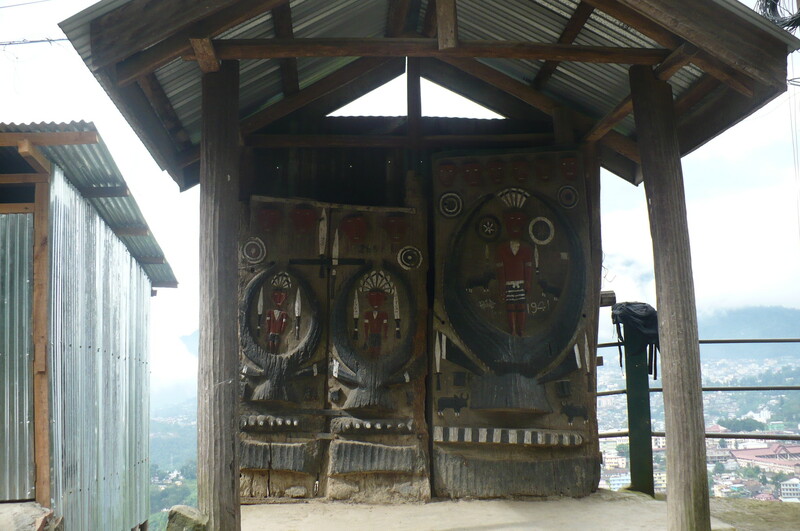 There is Kohima village adjoining the town, also Kisama (a fake showcase village), Phesema, Zakhama, Kigwema & several others within an easy 30 kms radius. The weather is lovely & the girls beautiful. Because of a largely salt & meat diet many of the elderly suffer hypertension. What one cannot help but notice is the near total disconnect between rulers & ruled. 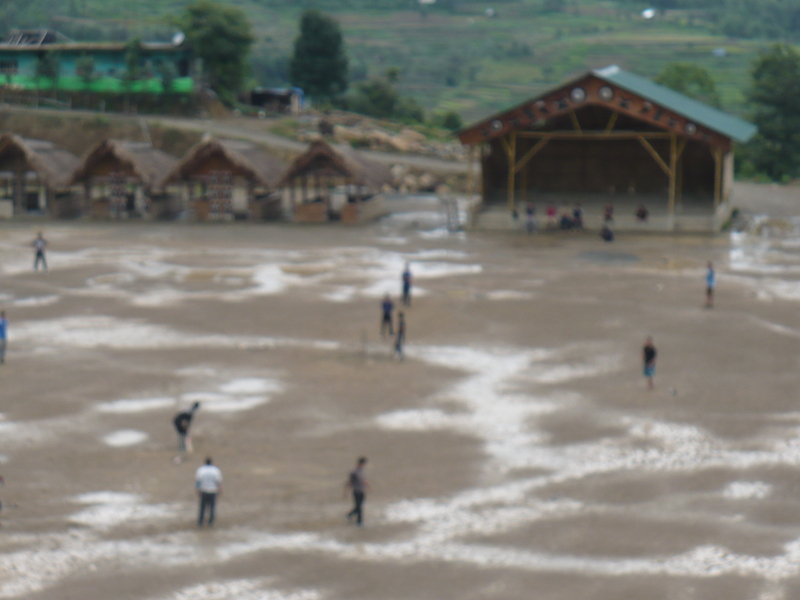 Nagaland feels like it has been left in the backyard. The local government- corrupt & rapacious, while the writ of the banned Underground rules. There is an organized extortion racket in place where the Naga Underground collects tax. All government servants, policemen included, have to pay one month basic salary. It is also the reason why shops close so early (7.30 – 5.30). Every shopkeeper shells out anything between 10 – 50K. There is no shortage of water yet whole colonies go without. Tankers fill the streets. Water has to be bought. My hosts buy 1000 cc, at Rs 500 every week. This is besides the water from the bore well that is pumped up daily. Each member of the family makes do with a bath on alternate days. 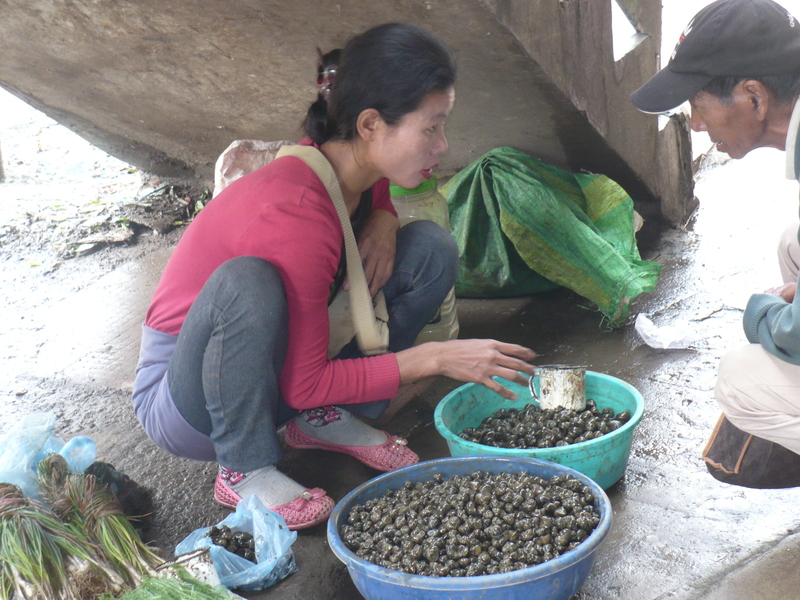 In fact a lot of time goes into the ritual of collecting & organizing water for the day. Any wonder then that the local lad looks confused & dumb when asked for directions to the Raj Bhavan or Tourism office? Nobody knows or cares. There is also the perennial question of the “inner line permit”. Is it or is it not a prerequisite? Tourist brochures insist it is compulsory but I roamed around freely without one. Neither did I see or encounter any checking. Nagaland tourism please clarify. 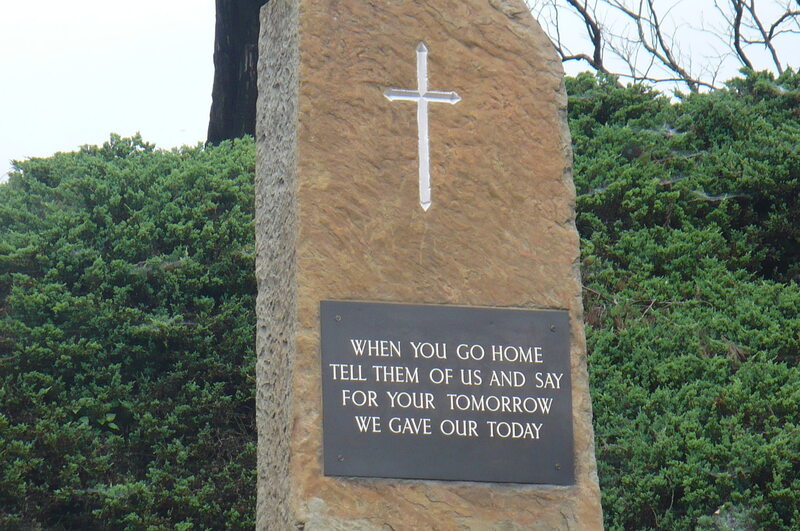 The Kohima Epitaph is dedicated to the memory of the 10,000 Allied soldiers who died fighting the Battle of Kohima in the summer of 1944. 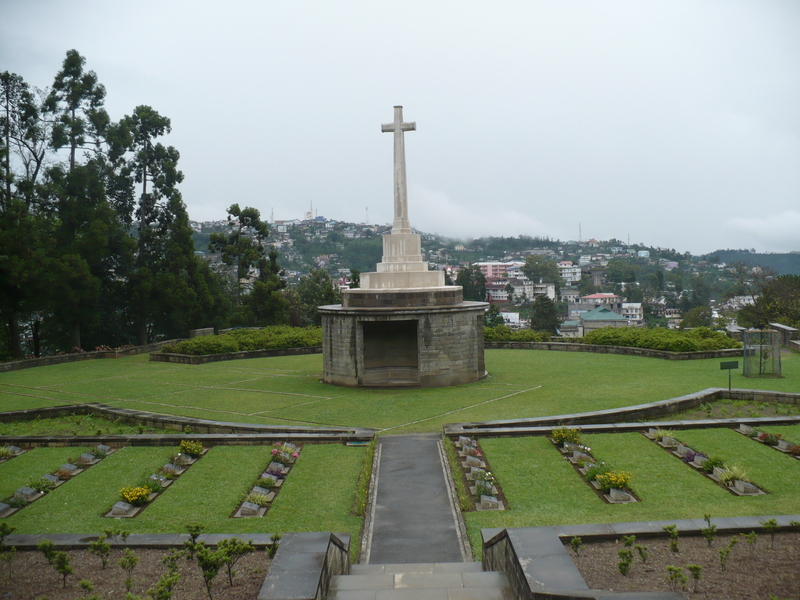 It is built & maintained by the Commonwealth War Graves Commission & is among the best in the world. 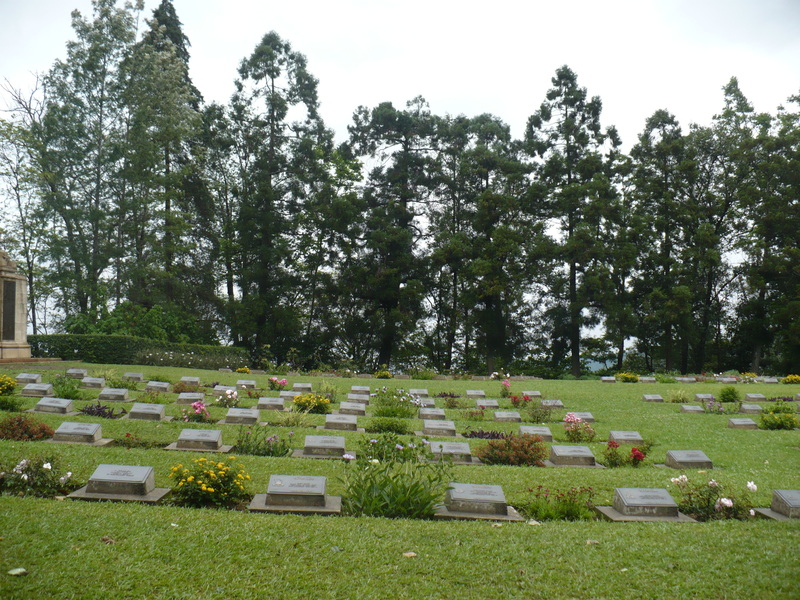 Located on the slopes of Garrison Hill the cemetery overlooks the hustle & bustle of a crowded town & is both a prominent landmark & tourist destination. 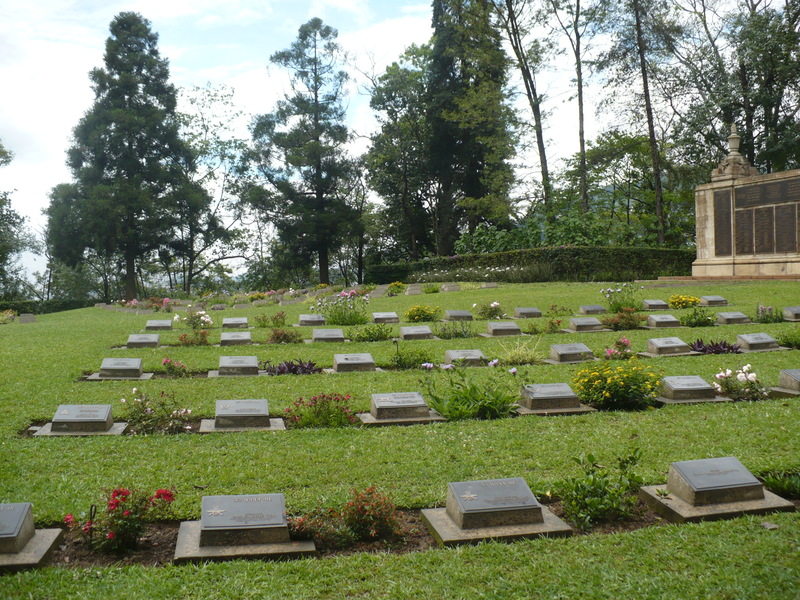 There are row upon row of neatly laid out graves in a landscape of pine trees, grassy slopes, butterflies & flowers. Except for Sunday it remains open everyday from 8am – 5pm. I am at the gates on a rain drenched day patiently waiting for the cemetery to open.The caretaker arrives like clockwork & soon I have the place entirely to myself – for a couple of hours at least. Like most cemeteries it exudes an air of quiet peace & repose. The Pines stand tall & give off a scent with the wafting of the breeze. Lone sentinels. With the rain & mist rolling in from the surrounding hills it is beautiful beyond compare. It takes almost 3 hours pausing & walking past each & every grave. Wish I had done a head count. There are 1480 graves I am told but cannot be certain. (It is 1420 according to Wikipedia) Except for a single one belonging to a young woman, a nurse, the rest are all soldiers. Each one killed in his prime. Each very young. Very very young. Far too young. 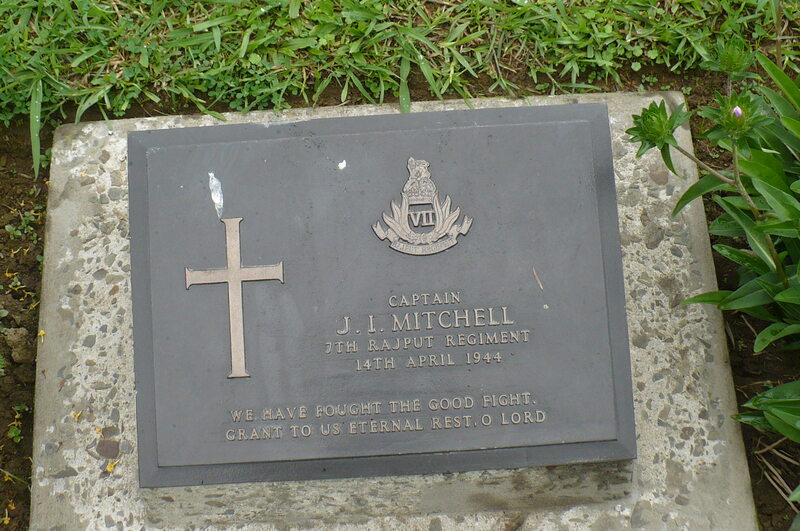 The Roll of Honor proudly proclaims the regiment & names of those who were cremated. 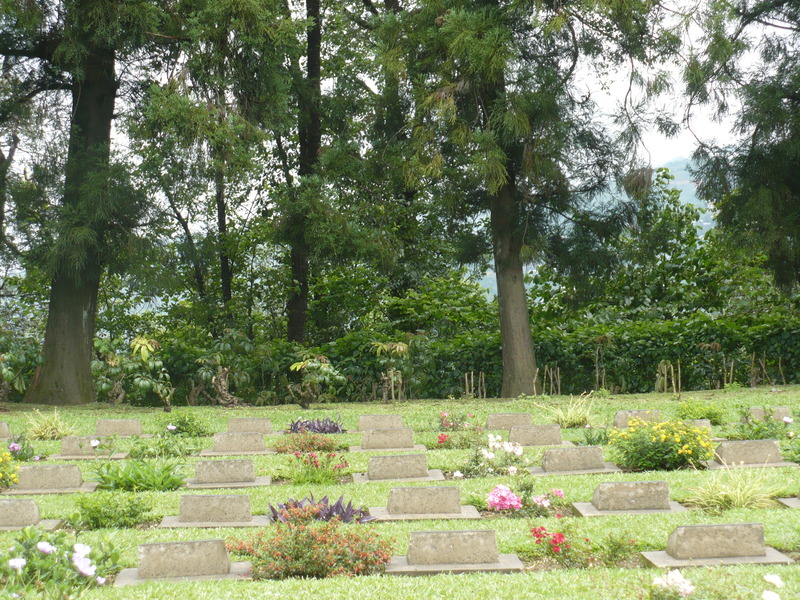 There are several marked graves in memory of the unknown soldier, both Indian & Foreign. Others patriotic, inspiring, poetic & stoic. Weaving my way through Naga bazaar, in search of an address, it feels like Sausage land. Creepy Crawlies on sale everywhere. Nothing, it appears is inedible. Platters of dog meat line the sidewalk. 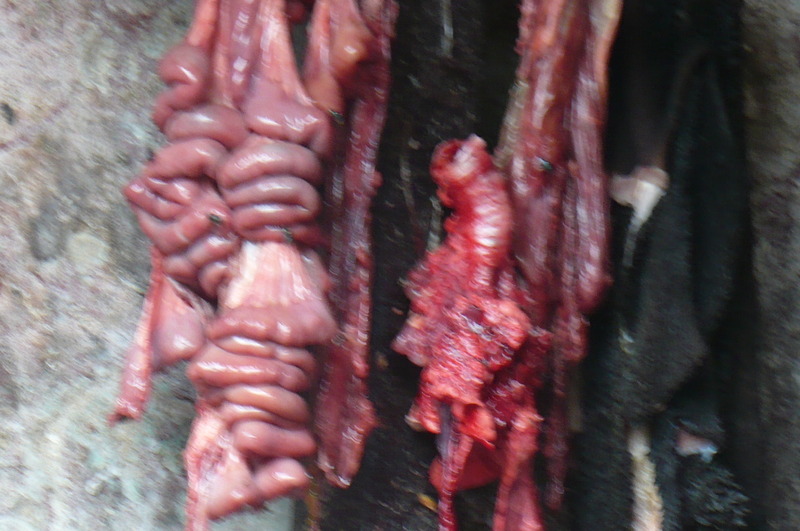 Animal entrails hang in the air. Intestine. Lungs. All minimally cooked & eaten with relish, for the region boasts no culinary skills whatsoever. Unlike other meat loving areas where food is painstakingly cooked aided by an assortment of aromatic spices & garnish, here it is simply a matter of putting it into a pot of boiling hot water with a dash of chilly & salt. And, Hey presto, a meal is ready. Eaten with rice it is delicious too. By all accounts. So what do we have here? Grasshoppers. Insects. Both enemies of agricultural crops. The variety is astonishing as is the price. 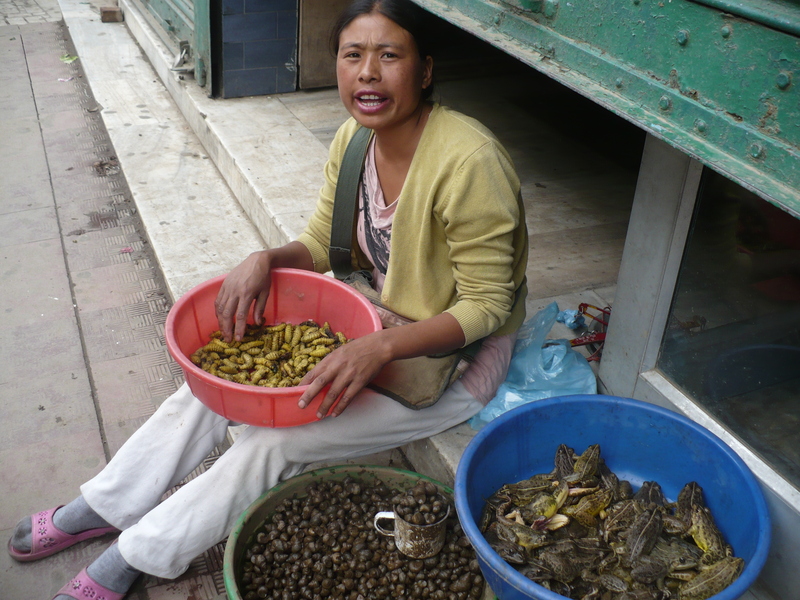 Frog, snail & caterpillar at Rs 200/Rs 200/Rs 300 a kg. Well, snail is good for the eyes. Or didn’t you know. Pork goes for Rs 170. Beef is at 120 & chicken 150. This information was gleaned from my host Zhavi Wiso. “Sorry,” I tell him. I don’t mean to be rude but I just gotta know “. He can’t see what the fuss is all about & readily gives a low down. Cow is reared for meat & dung. Not milk. 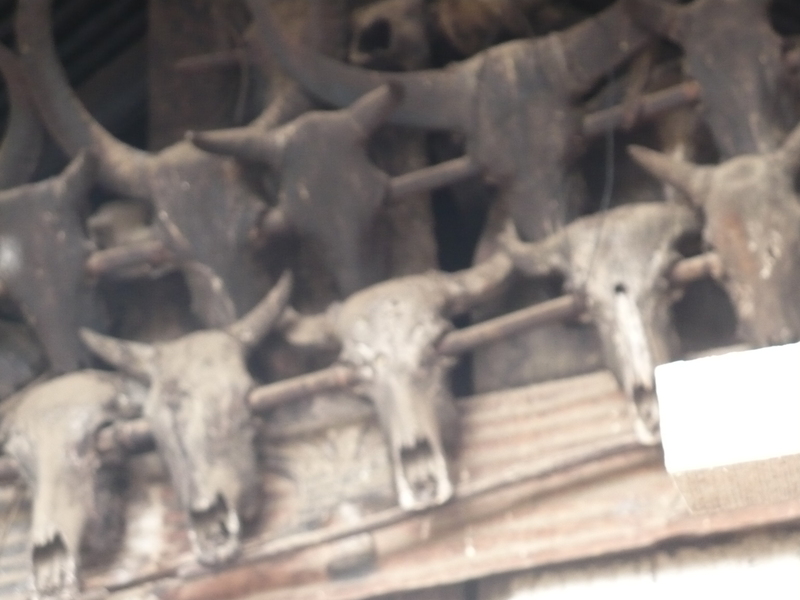 A cow in Nagaland is small in size & yields little milk. Pigs are reared for meat. 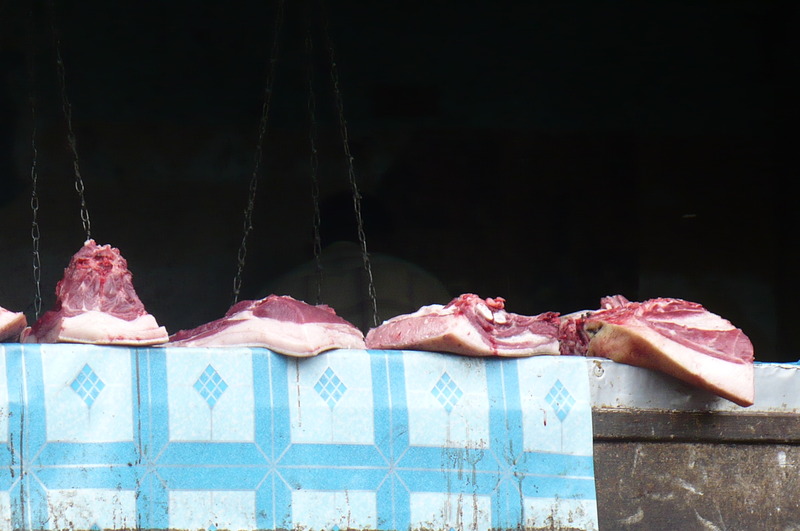 They are healthy & clean & slaughtered during festivals to be distributed among friends & neighbors. 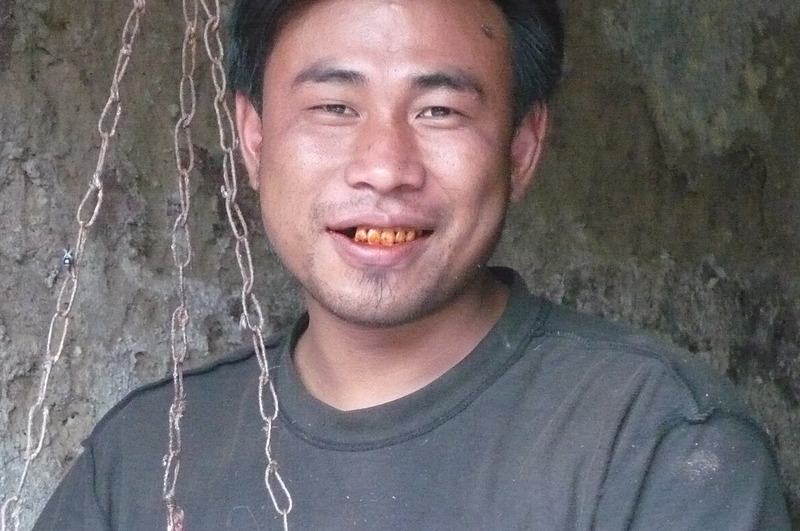 Dog meat @ 400 is a delicacy. It comes from dogs reared in farms in Assam & smuggled across the border. 60 – 70, put into sacks & transported in an Alto. (The north east accounts for the largest sale of Maruti cars in the country) If caught police levy a charge of Rs 70 an animal. Call it a fine, tax, bribe or what you will. 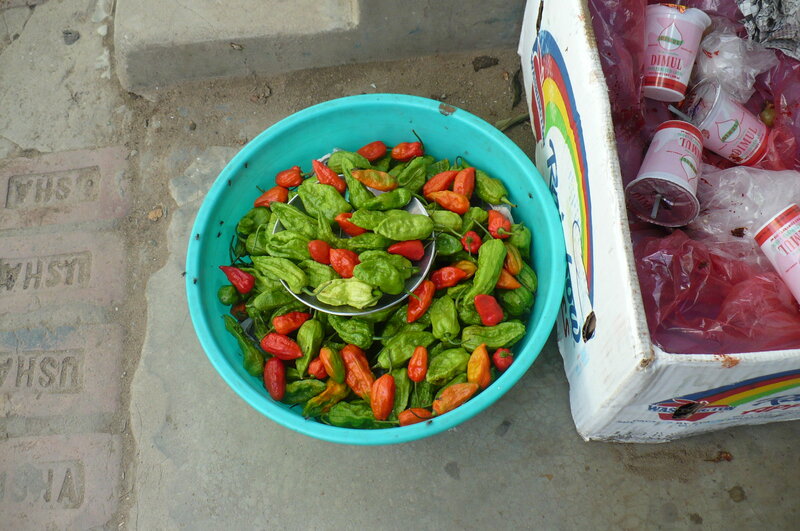 And not only is it a delicacy, but is a cure for malaria & tuberculosis as well. Much to our amusement Mr Wiso Senior expounds on his philosophy of food. “ I once tried to hammer a dog to death but missed. Instead of the head I hit him on the face & saw tears roll down his cheeks. That day I felt a little sad……. But I ate …………..